We're not too big. We're not too small. Back in 1973, Gary Marsden and Dave Marquardt (whose last names inspired the "Mar" in Marco) started as a small typewriter shop in St. Cloud, Minnesota. Four decades later we've evolved into one of the top five technology providers in the nation, serving customers nationally with core offices in Minnesota, Wisconsin, North Dakota, South Dakota, Iowa, Illinois, Nebraska and Missouri. We help organizations of all sizes make the most of their voice, data, video and print technology. We're pretty passionate about doing things right. Our employees are committed to doing what's best for our customers and giving back to the community. And we've created a culture that's consistently recognized with state and national top workplace honors. Learn more about our culture. One Source - From planning and design through installation and support, we apply our network expertise to voice, data, video and print solutions. Expect Satisfaction - We've been conducting monthly customer surveys and documenting results since 1994 to ensure we meet your expectations. Caring and Committed - We believe it's not enough for a business to do well; it must also do "good." On the job and off, Marco is made up of people who care. 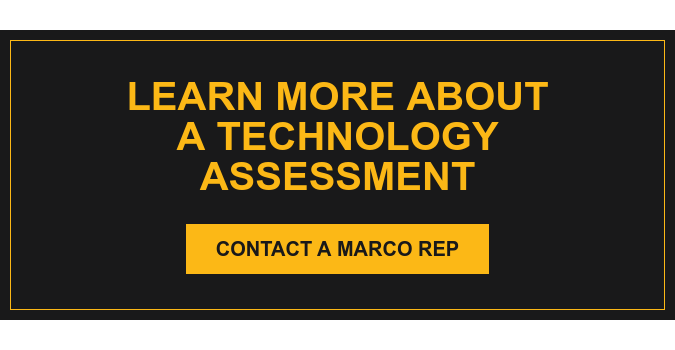 Innovation Leader - When you connect with Marco, you benefit from the innovation and resources of our industry leading partners.